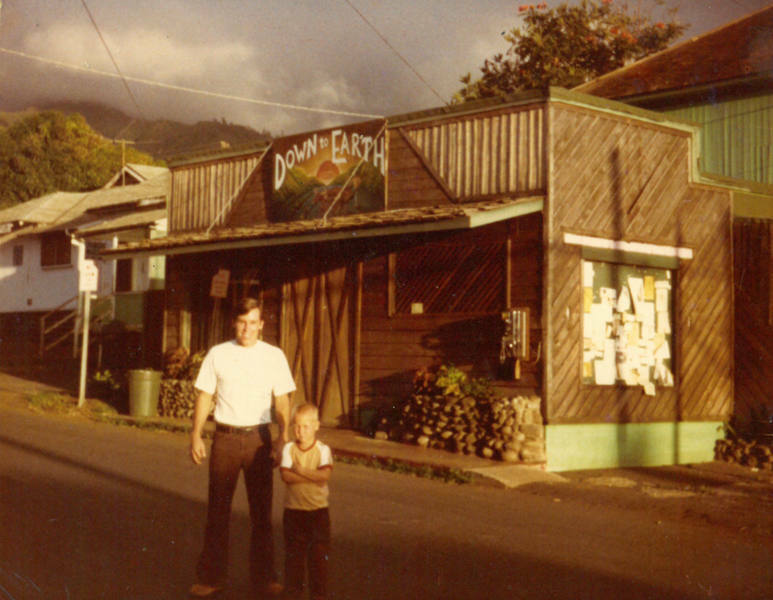 Down to Earth began in 1977, in Wailuku, Maui, (pictured above) when a group of friends started our first store, and shortly afterwards opened the King Street store. They did so out of a desire to help improve the health of Hawaii’s residents by making available organic and natural products at affordable prices (the slogan used to be, “Healthy foods at prices that won’t make you sick!”), and educating about the many benefits of living a vegetarian lifestyle. Over the past forty+ years, Down to Earth has grown and flourished to become an important part of Hawaii's community with six locations in Hawaii. On Oahu: Honolulu, Kailua, Pearlridge, Kapolei, and our newest location in Honolulu's Kakaako district; and Kahului on Maui. In addition to the new Kakaako store opened in April 2018, a new and larger Pearlridge location will open in the Pearlridge Center at the end of 2018. And by mid-2019, the Kailua location will move into a larger space in the former Macy’s building. We have a lot of growth and expansion underway. While this is possible due to the hard work and commitment of the Down to Earth team, it is mainly due to customers' loyal support throughout the years. For all this time, we have served health-conscious islanders with organic and natural products, and through community outreach that includes cooking classes, health, and nutritional seminars, and a wide variety of events to promote better health. Our customers know they can rely on us for quality products, great value, and excellent service from our friendly and knowledgeable staff. Best Health Food Store 12 Years in a Row! 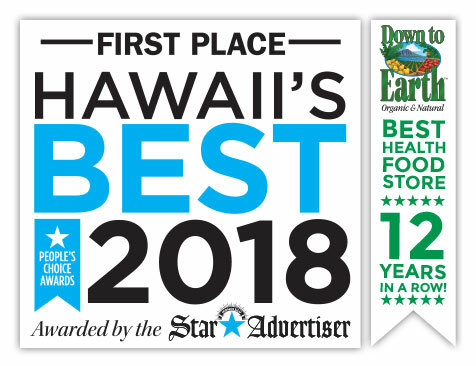 2018 is the twelfth year in a row that Down to Earth has won the Star-Advertiser’s People’s Choice Award for Best Health Food Store. We are honored and humbled to have won this award yet again! This accomplishment is due to our customers’ loyal support, our team members’ hard work and dedication, and our commitment to providing quality products and excellent service. It is an honor and a privilege to serve the people of Hawaii by providing the best products with the best customer service. Down to Earth’s many accomplishments, and our leadership in the community, are a reflection of the hard work, dedication, and commitment that each of our team members brings to their service at Down to Earth. For them, working at Down to Earth is not just a job, it is truly a service to the more important mission of helping to improve the health of our island communities and our `āina. With the support of our many loyal customers, I am confident Hawaii residents will continue to choose Down to Earth as their preferred natural food store. The success of Down to Earth is also due to our unshakable values, our commitment of being in business to help improve the health and wellbeing of our customers, and to serve the community. We have earned our customers’ loyalty due to our uncompromising dedication to providing quality products, while refusing to compromise our values. We have always been, and remain, a community-based business dedicated to promoting healthy living, respect for the environment, sustainable organic farming, and a vegetarian lifestyle. We thank customers and so many friends and neighbors in Hawaii island communities for their support all these years, for helping to make Down to Earth so successful!